I Personally liked this product. It tastes good compared to some other things I have tried. It truly gives you an energy boost. Sometimes doesnt mix well depending on the temperature of the water, but thats not a major issue with me. Taste great and mixes very easy. Gives me the wake up that I need with no crash! I love using Krank'd as my pre-workout fuel. It helps get me going for my early morning workouts. No jitters and no crash. Best alternative to Energy Drinks!! I'm sure many of you, like me, want that sweet taste and energy from energy drinks without all of the unhealthy side effects. Taste is amazing and you dont get all of the extra junk that your body doesn't need. Lower sugar but same amount of kick. Perfect for those days you need an extra push!!!! I've been looking for a new pre-workout to give me fuel but not leave me with the jitters. Krank'd does both and tastes great! Great taste. The new Wild Berry is awesome. It keeps me hydrated and is packed with vitamins and minerals. 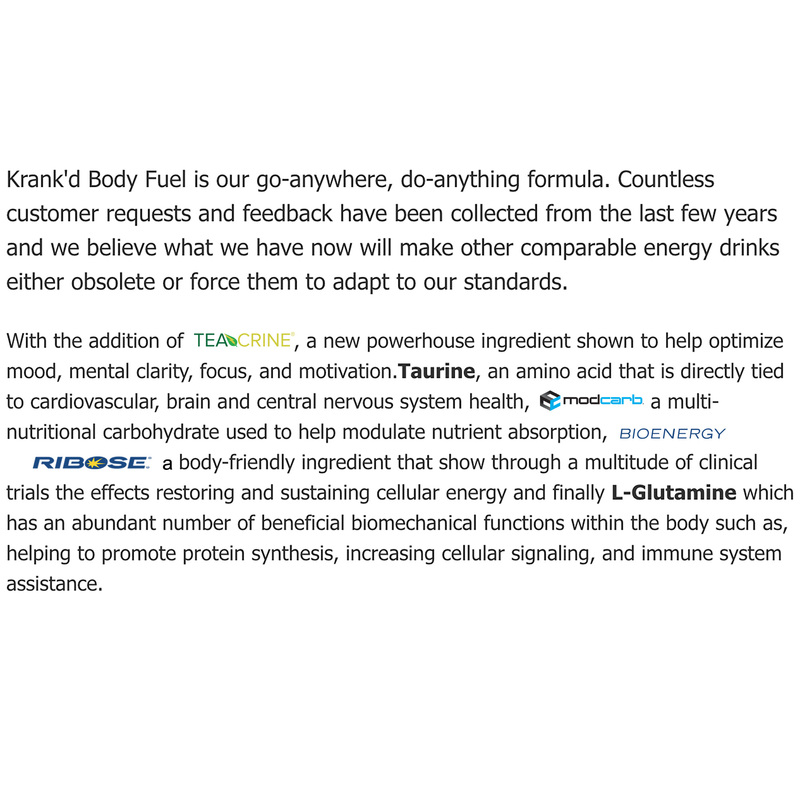 Krank'd gives me the perfect amount of energy for my workouts and all of the flavors taste great. I love mixing it with my Whey superior so I can get the benefits of both products. The holy grail of electrolyte replacement!!! Also packed with vitamins and minerals. I use this everyday during my run. The orange Krank'd mixed with the Vanilla whey tastes like a cremesicle. Perfect.